You can rely on 4 Fathers for Water Heater Repair in Queen Creek, AZ because we have skilled professionals that respond to emergency service calls around the clock. We know how much of an inconvenience it is to be without hot water, and that’s why we offer 24 hour support to make sure you get your hot water back as quickly as possible, and most often the same day you call. 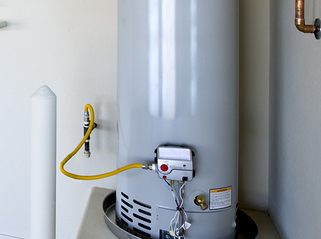 If your water heater is beyond repair, we can also help you choose an efficient and reasonably priced water heater to replace your old heater and install it for you. We’ll help you understand all of the water heater options available to you and offer our professional opinions based on the amount of hot water you use, the needs of your family and your energy usage expectations. Our licensed professionals are trained on all types and brands of water heaters so they can effectively service, repair and replace your water heater quickly and cost effectively. Sometimes the best course of action is to hire a professional who knows how water heaters function, what parts need to be periodically replaced and when an entirely new unit should be installed. At 4 Fathers we have the skills and experience to help you get hot water back quickly and within your budget. Give us a call and one of our highly trained and licensed professionals will come to your home and inspect your water heating unit. If your water heater needs Water Heater Repair in Queen Creek, AZ, we won’t try to sell you a new unit; we’ll simply repair your water heater and be on our way. We treat all of our customers like we would like to be treated. Call us today and you’ll be glad you did tomorrow.